Water is a more destructive force than most people realize. It can quickly begin to cause damage in a home, resulting in the need for thousands of dollars in repairs. Flooding, appliance malfunctions, and plumbing leaks are all sources of water damage in a home. It is important homeowners act quickly when water enters by contacting the professionals for water damage restoration in Sacramento CA. If the water is left to stand in a home, continued damage can occur, along with mold and mildew growth. Unfortunately, mold can begin to grow as soon as twenty-four hours after water has been standing in a home. When mold is present, a homeowner will need mold remediation Roseville CA. 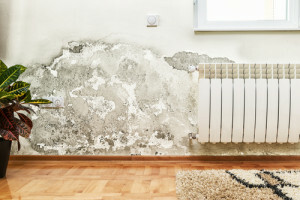 Before the mold can be dealt with, the team will need to remove any standing water and reduce the humidity so it comes down to a normal level. If these issues are not taken care of first, the mold and mildew will continue to grow and become out of control. Once the water has been removed, the team will immediately begin documenting and assessing the damage. There are many steps involved in restoring a home with water damage restoration greater Rocklin CA. The goal of these services is to work to ensure the home is safe and restored back to its former state before the water damage occurred. When the water has been removed and the humidity lowered, the team can begin with mold removal Sacramento CA. Mold removal is important because some types of mold can be deadly. If mold is allowed to continue growing, it not only causes damage but can also cause health concerns in those who are high-risk, such as those with asthma and other breathing disorders. Contact Us for all Your Water, Smoke, and Mold Removal Emergencies, Inspections, Repairs, and Home Restoration Services at 916-779-3946! A remediation team can work with the homeowner and insurance company to ensure the damage is properly covered in the homeowner’s insurance settlement. Depending on the type of policy a homeowner has, much of the cost of remediation can be covered. It is crucial homeowners report a claim to their insurance as soon as they are aware of the damages. If you are a homeowner who is dealing with mold, water damage, or fire and smoke damage in Orangevale CA, it important you call in the professionals so they can remediate your home and make it safe for you and your family. Call right away for your remediation appointment so they can get started on fixing the damage.